* Brooke was able to travel across Canada, playing a total of 97 times in 2017, opening for acts like MercyMe, NewSong, The City Harmonic, Love & The Outcome and Dan Bremnes. The album’s lead single ‘Home’ charted Top 10 at Canadian Christian Radio and went Number 1 at the largest Christian Radio Station in Canada. * 2017 culminated in Brooke being nominated for New Artist of the Year and Female Vocalist of the Year at the Canadian Gospel Music Awards. It all began in 1998 with 3 people who had met on men’s retreat weekend. They first got together to provide music ministry for a wedding ceremony. They provide music ministry for wedding ceremonies and church services. They also entertain at family celebrations, church and community socials, fundraisers, local fairs, community events and dances, and the homes for the elderly. A portion of entertainment and ministry proceeds is distributed to needy causes such as clean drinking water, mission feeding and housing for the poor and other individual needy situations. This CD includes four original songs and features Amber Ladd (Oshawa) on vocals. 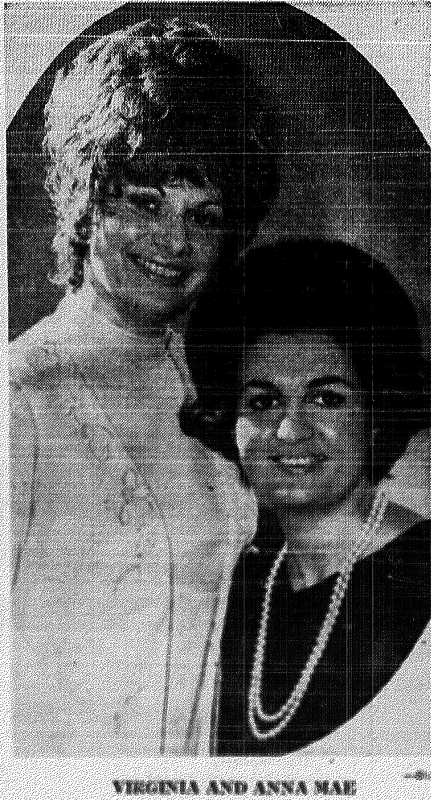 Paling’s three daughters can also be heard on the release. Note: This is their second recording. The first CD was entitled “My Wings For His Glory“. 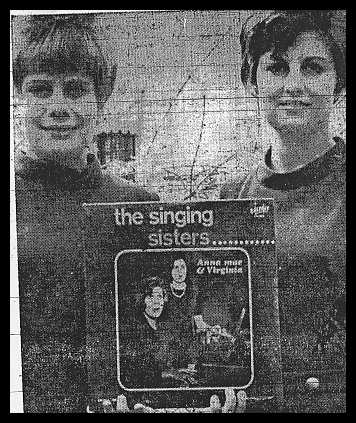 Above Photo: Virginia Golubov, Mrs. Paul Mcphail, ‘Singing Sisters’ with Album of Sacred Songs released today, May 5th 1967. A few of the songs included are “His Name Is Wonderful”, “Held By His Hand’, “Lord, I Need You”, and “It’s In Your Hands”. The album does not contain original material, but the girls hope to someday write their own music. The girls also play their own instruments on this album and have been singing and playing organ, piano and accordion for eight years.